As the high school graduates processed in, with their families and friends beaming with pride, their minds were certainly not on the usually unsung lyrics but probably on getting lei, graduation parties or Project Graduation lock-in, enlisting in the military, joining the work force, or continuing their formal post high school education. Noah Magbual gave thanks to his family: “Most of all, I’ve got to thank my family, both near and far. My mom, dad, sister and aunty are all in the audience today. While the graduates listened to the remarks, including the valedictory speeches, and sang their class song with one voice, you could sense relief but also a realization that this was just the beginning of many more hours of study. After all, they’re called Commencement Exercises. In a 16-page special supplement, The Maui News listed sixteen commencement exercises in Maui County, complete with a list of all graduates and those receiving academic honors. The highest academic honor is the designation of Valedictorian. Most Hawai‘i public high schools designate every student with at least a 4.0 cumulative grade point average as a valedictorian… and there were many valedictorians this year. But usually the student with the highest grade point average delivers the Valedictory speech. 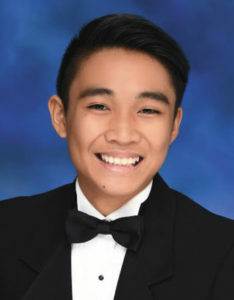 Henry Perrine Baldwin High School recognized twenty-one valedictorians, with eight of them of Filipino ancestry: Raisa Bermudez, Romar DeCastro, Dillon Gasmen, Noah Magbual, Kimberly Marcelo, Nicole Matsui, Creselle Morales, and Denise Torres. Magbual is the son of Arnold and Marjorie Magbual, the owners of Four Sisters Bakery in Wailuku, and the grandson of Estanislao and Rufina Magbual, who started the bakery in 1983. 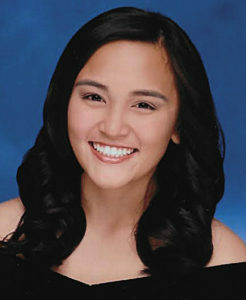 Roxanne Kate Agtang Balanay is one of 30 Valedictorians of Maui High School’s class of 2017, fifteen of which are of Filipino ancestry. Many of the Magbual children would work in the sugar and tourism industries while Stanley would venture into the business world, selling his famous pan de sal and ensamada, initially from their home and later at the bakery on Vineyard Street. Denise Torres will attend Creighton University in Omaha, Nebraska. Magbual’s fellow Baldwin High School valedictorians of Filipino ancestry will definitely be challenged along the way: Raisa Bermudez will attend the Unviersity of Washington, Romar DeCastro will attend the University of Puget Sound in Washington, Dillon Gasmen will attend Grand Canyon University in Phoenix, Arizona, Kimberly Marcelo will attend the University of Portland in Oregon, Nicole Matsui and Creselle Morales will both attend the University of Hawai‘i at Mänoa, while Denise Torres will attend Creighton University in Omaha, Nebraska. Courtney Cadiz will major in Computer Science at the University of Portland. The challenges will not only be academic but financial as well. Tuition alone (not including housing, books, food, etc.) at the University of Hawai‘i at Mänoa for full-time undergraduate students is almost $11,000.00 per year. The University of Washington estimates almost $50,000.00 for out-of-state residents’ tuition, fees, housing, food, books, and personal expenses. Creighton University estimates the total costs to be over $53,000.00 while Stanford University will cost the Magbuals over $60,000.00 each year. Luckily, the Baldwin High School valedictorians received scholarships from their respective universities as well as the Elks National Foundation, Ernie Sherill, Foodland Shop for Higher Education, Hawai‘i Rotary Youth Foundation, Maui Filipino Chamber of Commerce Foundation, Na Ho‘okama, Passing it Forward, Roman Shaffel S.J., and Takeo & Joan Shibuya Scholarships. 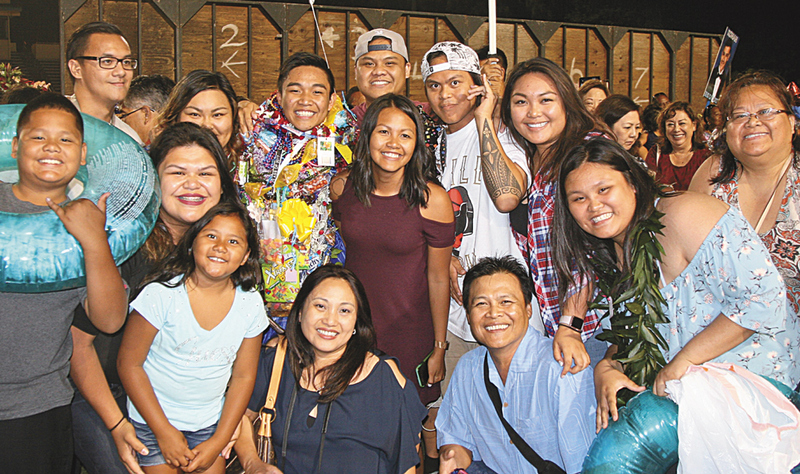 At its graduation ceremonies, new Maui High School principal Jamie Yap announced that the Class of 2017 was awarded over $15 million dollars in scholarships—a record at the school. 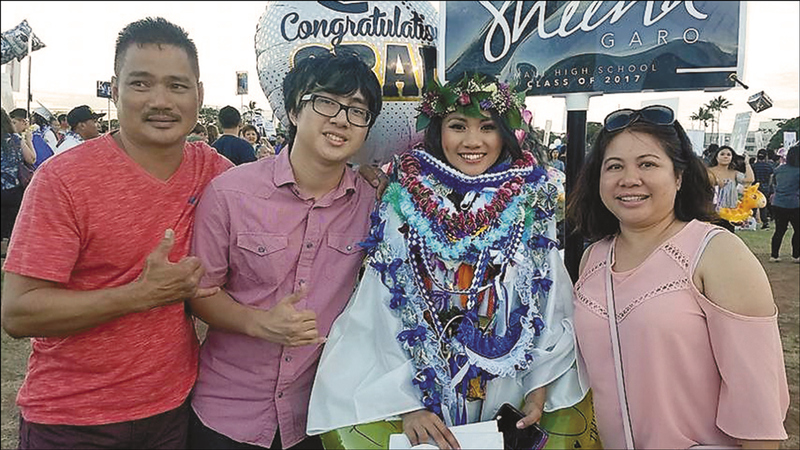 Sheena Marie G. Garo said it was difficult to be involved in extracurricular activities and be a dual enrollment student at the University of Hawai‘i Maui College. 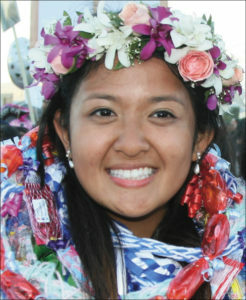 Maui High School set another record in bestowing of thirty valedictorians—the most in the entire State of Hawai‘i. Of those thirty, fifteen are of Filipino ancestry: Shaye L.N. Acopan, Roxanne Kate Agtang, Jamaica L. Aquino, Jett R. Bolusan, Courtney R. Cadiz, Danny S. Domingo, Florimae S. Garcia, Sheena Marie G. Garo, Renezel M. Lagran, Dylan K. Manibog, Summer B. Montehermoso, Braiden E. Paa, Jordyn S. Paa, Nathalya K. Yadao, and Nicole O. Yuzon. 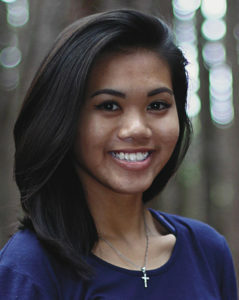 Some Maui High School valedictorians appear to be headed towards the health fields: Acopan, Aquino and Yuzon will study Nursing at the University of Portland, the University of Hawai‘i Maui College, and the University of Hawai‘i at Mänoa, respectively while Garo will study Radiology Technology at Kapi‘olani Community College. 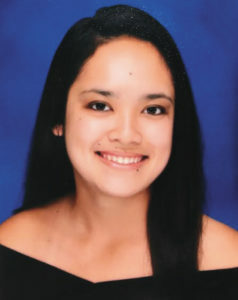 At least six of Maui High School’s valedictorians will matriculate at the University of Hawai‘i Maui College: Agtang, Aquino, Balanay, Lagran, Montehermoso, and Yadao while the Paa twins (Braiden will major in Applied Mathematics and Jordyn will enroll in the School of Travel Industry Management) and Domingo (also majoring in Travel Industry Management) will join Yuzon at UH Mänoa. Bolusan will major in Mechanical Engineering at California Polytechnic State University, San Luis Obispo, Cadiz will major in Computer Science at the University of Portland, Garcia will major in Music & Education at Western Washington University, and Manibog will major in computer engineering at George Fox University in Oregon. “… Keep working hard no matter how bad you feel like giving up and surround yourself with friends who motivate you to do better” said Danny S. Domingo. 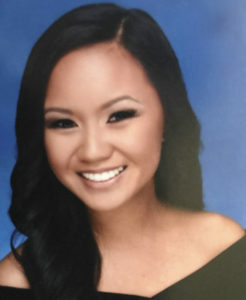 Despite these challenges, Maui High School valedictorians of Filipino ancestry received scholarships from their universities: the Dr. Inouye & Dr. Baum Foundation, as well as Auriol Flavell Student Scholarship for Young Musicians, Binhi at Ani, Filipino Chamber of Commerce of Hawai‘i Foundation, Filipino Women’s League Community, Foodland Shop for Higher Education, HC&S, Hawai‘i Alpha Delta Kappa Gamma Chapter, James M. Kidoguchi, Longs Drugs, Maui AJA Veterans, Inc. & Maui’s Sons and Daughters of the Nisei Veterans, Maui Filipino Chamber of Commerce Foundation, Maui High School Foundation, Michael H. Lyons II Memorial, and Touch for Peace. While Maui High School had the most valedictorians of Filipino ancestry, King Kekaulike High School boasted fifteen valedictorians, of which eight are of Filipino ancestry: Emi Abe, Alenette Ballesteros, Jaelyn Domingo, Claire Gragas, Eleu Higa, Ian Martins, Alona Sabugo, and Alexus Yoro. 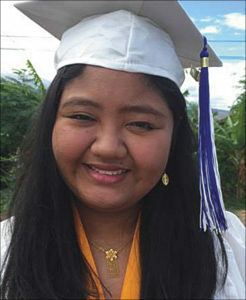 Nicole O. Yuzon will study Nursing at University of Hawai‘i at Mänoa..
Abe will enroll in Western Washington University, Ballesteros will study Political Science at Colorado College, Domingo will study Computer Science at California Polytechnic State University, Gragas will study International Business at Pacific University in Oregon, Higa will study Business Management at Warner Pacific in Oregon, Martins will study Business/entrepreneurship at Hiram College in Ohio, Sabugo will study Nursing at the University of Hawai‘i Maui College, and Yoro will study Optometry at the University of Hawai‘i Maui College. 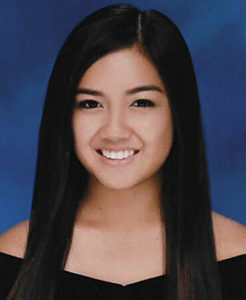 Other valedictorians of Filipino ancestry include Shania Abut (Lahainaluna High School) who will enroll at the University of Nevada at Las Vegas, Alexa Narayan (Maui Preparatory Academy) who will enroll at Duke University, and Krystal Yagyagan (Lahainaluna High School). 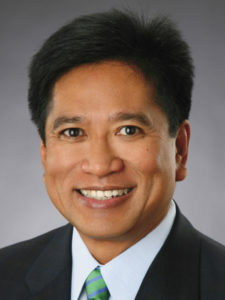 Alfredo G. Evangelista marched to Pomp and Circumstance when he was graduated from Maui High School in 1976, the University of Southern California in 1980 and the UCLA School of Law in 1983. 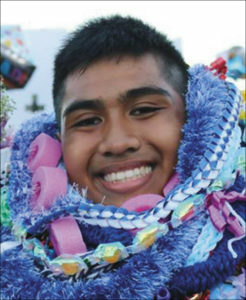 His family and friends lei’d him at each of his three commencement exercises. Indeed, with the commitment to do your best, nothing is impossible. The Fil-Am Voice congratulates the Class of 2017, especially the valedictorians of Filipino ancestry. Good luck in your future studies and always remember that Maui is home and will be waiting for you.